There are many components that go into building pipe spools, vessels, valves and equipment, many of which have critical machined surfaces such as flange faces. 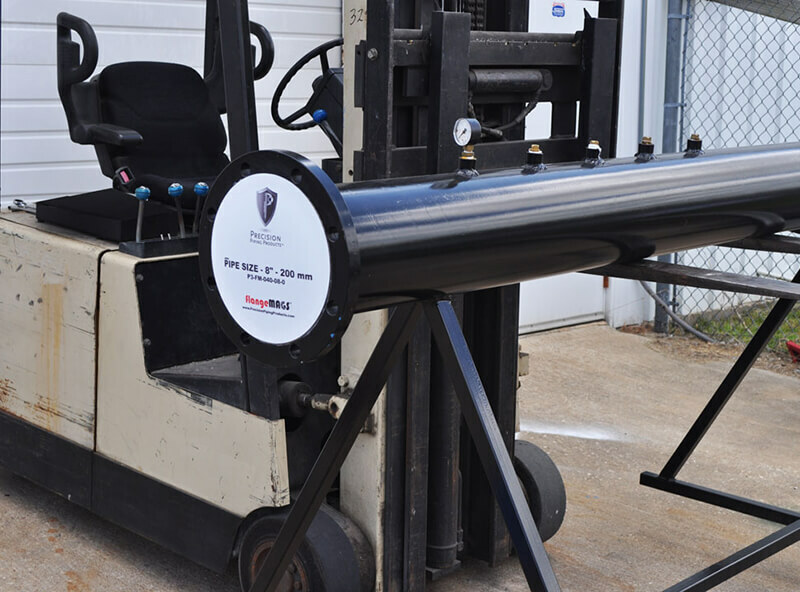 As these components are moved from the receiving, storage, fabrication, blast, paint, assembly, and then final destination, proper material handling is key. At any point along the process it is not only possible but likely that some of these surfaces will get damaged without proper protection. Precision Piping Products (P3) has developed several flange protection products for the material handling process. flangeDOTS®, flangeBUMPER®, flangeMAGS® and all our other products will help you protect your flange faces during the material handling process. Whether by crane, forklift, truck or just handling by hand, P3 Products will save you time and money on costly repairs.